While filing bankruptcy can be a major financial decision that can cause a variety of adverse effects in your life for years to come, it is important to remember that it is not necessarily detrimental to your credit history or credit score. There are a number of ways that you can repair your credit after bankruptcy, and with a little time, determination and the right choices, you can be on your way to better credit before you know it. If you are searching for some bankruptcy tips on that will help you repair your credit after filing for bankruptcy, the results are in, and they just might surprise you. •	Steer clear of the advertisements for companies who claim to provide services that “erase” bad credit entries on your credit report. It is important to remember that bankruptcy entries and other types of entries stay on your credit report for a set amount of time, and as long as they are correct, they will remain there regardless of what you do. •	Perhaps one of the most important bankruptcy tips available is to order a copy of your credit report from time to time, and examine it thoroughly in order to identify any corrections that might need to be made or unauthorized use of your credit information. Notify the credit bureau immediately with any discrepancies, or if you notice any suspicious activity. •	Pay your bills on time, every time. 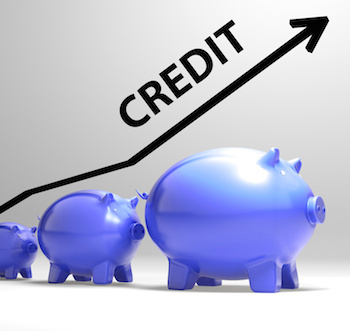 If you are recovering from bankruptcy, the last thing you need is another derogatory mark on your credit history. Remember that any payments that are 30 days late or more can be reported to the credit bureau. •	If you are having difficulty paying your bills, contact your creditors as soon as you suspect that there may be a problem. Contrary to popular belief, your creditors are not out to ruin you, and many will be able to offer payment extensions, reduced payments or even skipped payments (often referred to as payment deferrals) in order to help you catch back up without your credit report suffer. •	One of the most helpful bankruptcy tips is to beware of too much credit. A large part of your credit history is based upon your debt to income ratio. If you owe too much money in relation to your income, your credit score will pay. •	Don’t try so hard to obtain new credit all at once. Too many inquiries on your credit report will make you appear financially desperate, and can ultimately lower your credit score. •	Consider opening a secured line of credit. Offering security will be more appealing to lenders than applying for credit without it. Look into reputable credit cards that offer second chance secured cards, or take out an auto-equity loan to rebuild your credit- but only if you can afford it. Although located in Costa Mesa, we also service these Orange County cities: Aliso Viejo, Anaheim, Bell, Bellflower, Brea, Buena Park, Carson, Cerritos, Cypress, Dana Point, Diamond Bar, Downey, El Monte, Fountain Valley, Fullerton, Garden Grove, Hacienda Heights, Huntington Beach, Irvine, La Habra, La Mirada, La Palma, La Puente, Laguna Beach, Laguna Hills, Laguna Niguel, Laguna Woods, Lake Forest, Lakewood, Long Beach, Los Alamitos, Mission Viejo, Newport Beach, Norwalk, Orange Placentia, Paramount, Pico Rivera, Pomona, Rancho Santa Margarita, San Clemente, San Juan Capistrano, Santa Ana, Seal Beach, Stanton, Tustin, Villa Park, Walnut, West Covina, Westminster, Whittier & Yorba Linda California. Entire contents ©1998 - 2014 Joseph A. Weber. Bankruptcy Attorneys. Nothing obtained from this web site may be reproduced in any manner, either in part or in whole, without specific permission. All Rights Reserved.